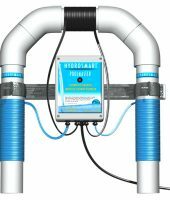 Hydrosmart are experts in solving water-associated problems with our purpose-made hard water conditioner technology in Australia. Hydrosmart is the leading water conditioner with an 20 years pedigree, and is trusted by agricultural, industrial and domestic customers alike for solving scale, salinity and iron problems. 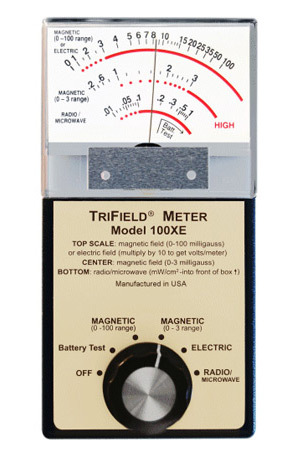 For routine problems, the standard unit is a trusted workhorse. If you have water that is causing a lot of problems, you may need the Enhanced Output unit. 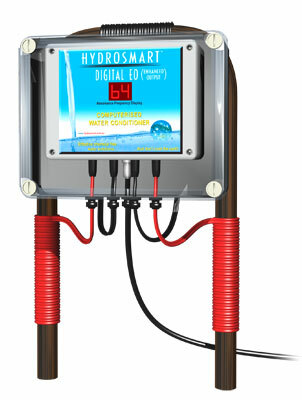 Hydrosmart will support to you in finding the right unit and solution in each and every case. We research, develop and manufacture our original 100% Australian products to deal with water quality problems, all over the country as well as overseas. Our products provide water conditioning solutions for bore water, river water, town mains water, saline water and water rich in minerals such as salinity and iron. 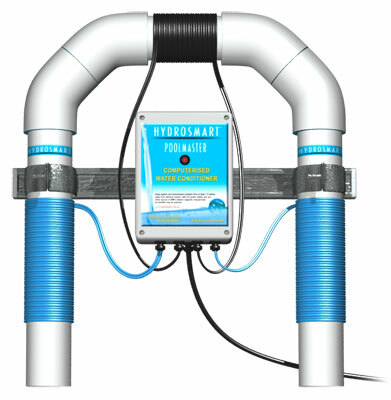 Hydrosmart water treatment products are designed to treat scale, corrosion, salinity, iron and algae. Drought-proof or mineral-proof your property with this universal water tool, as seen on Landline and Stateline. In use by thousands of Australians like you, and hundreds of businesses including BHP, Rio Tinto, d’Arenberg Wines, together with many local councils and utilities across the country. The Enhanced Output unit has four times stronger water-conditioning potential than the Standard unit. 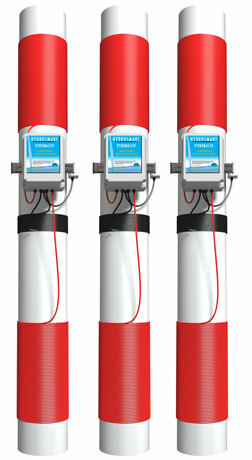 Both the Standard and the Enhanced Output units allow full water flow, because there is no filter involved. 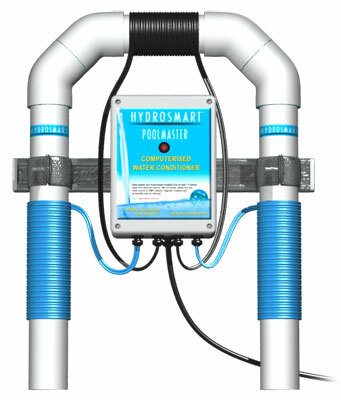 Hydrosmart works by dissolving the minerals in water. The effects are that dissolved minerals pass into downstream applications without building up in pipes, soil, fine sprays or drippers. Plant growth improves as soil salinity decreases. or the Quick Help form. We can meet your needs, to get you the right product for the purpose required. Applications include: Domestic, low-volume irrigating, light commercial, coffee machines, sterilisers, autoclaves, boilers etc. Applications include: Domestic, low volume irrigating, light commercial / industrial, sterilisers, autoclaves, boilers etc. Applications include: Domestic, agriculture, low volume irrigating, light commercial / industrial, autoclaves, boilers, laundries etc. Applications include: Agriculture, low volume irrigating, light commercial / industrial, boilers, laundries etc. Applications include: Agriculture, medium volume irrigating, light commercial / industrial, boilers, laundries, domestic pools etc. Applications include: Agriculture, large volume irrigating, medium commercial / industrial, vineyards, hydroponics etc. 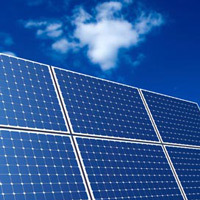 Applications include: Agriculture, large volume irrigating, centre pivots, medium commercial / industrial, vineyards, etc. Applications include: Agriculture, large volume irrigating, commercial / industrial, mining, waste water, utility, pools etc. Applications include: Agriculture, large volume irrigating, commercial / industrial, mining, waste water, utility etc. Applications: Designed specifically for coffee machines and very confined spaces. Applications: Designed specifically for pools both domestic and commercial. Useful for correct placement of Hydrosmart during installation. Applications: Designed for both domestic and commercial use. For all enquiries please contact us via our online form or call 1300 138 223.